Foam recently found a very wide application. If earlier it was used only for packing fragile goods, but now with the help of this material insulated the home. The foam is attached on both internal and external walls. This material has good insulation, is inexpensive and easy to install. However, few people can answer the question – are they harmful foam for health? And in fact, to study this information should be approached before the purchase of building material, and especially to its application. The foam is a white porous substance that is composed of many individual grains. It is produced by the foaming plastic mass, and the bulk of this material gives gas, whereby the density lower than the density of the original polymer. This explains the high thermal insulation properties and good sound insulation. Depending on the composition of the feedstock and method of processing receive material with different density, resistance to mechanical stress and for various purposes. Depending on these factors select the material for a particular purpose. The porous structure of this material significantly reduces thermal conductivity. This material holds its form that is not characteristic of the heaters of this price group. It consists of almost the entire air, so poorly lit. For the manufacture of insulation apply a minimum of substances from the group of styrenes, indicating that the relative eco-friendliness. The life of the material more than 50 years, which is confirmed by quality certificates. With proper installation, its characteristics do not change over the entire period of operation. On the positive side can be attributed to the low price and ease of installation. For styling foam on the walls do not have to have special skills, especially if we are talking about a private house or ground floor flats. The foam can absorb water, and its characteristics gradually lost. To avoid this, insulation must be protected from the harmful effects of the environment. 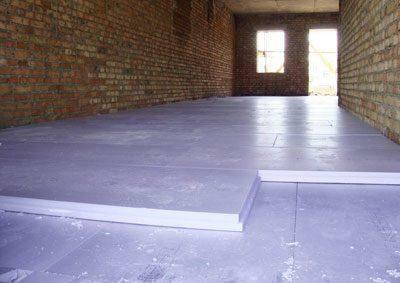 Apartment owners often insulate their homes with polystyrene or foam, and if the residents of the lower floors, insulated apartment outside, living on the upper floors mounted foam inside. Styrene is dangerous to human substance. It is lost to the atmosphere about 20 years, after fixing of the insulation. Particular harm being felt in that case, if the temperature is above 25 degrees. Phenol – a chemical compound in the foam that is ejected into the air under the action of direct sunlight or at temperatures above +20 degrees. Formaldehyde – a gaseous substance that is quite toxic. Stands out at elevated temperatures. You must remember that all substances that are foam, tend to accumulate in the body and thus worsen the health of the occupants. Before selecting insulation, you should consider all advantages and disadvantages. On the one hand, at the scales of ease of installation, low cost and ease of finishing, and with another – the health of the occupants. When burning Styrofoam emit harmful smoke, which poses a great danger to people. For residents of homes that are insulated with foam, increases the danger of fatal poisoning toxins in a fire. If you do not comply with the technology of the installation of foam, it shifts the dew point, which lead to the formation of mold on the walls. It is unsafe for anyone, regardless of age. If the sanitary conditions in the home are not observed, it threatens the rodents, which perfectly reproduce and live in the insulation. Officially published data on the dangers of the foam for a person, this material is successfully used even for food packaging. 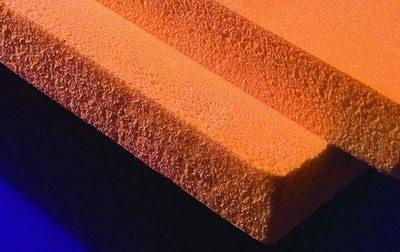 Manufacturers of this material in one voice say that in a few decades, that people use the foam as insulation of the walls, there was not a single case of illness that was triggered by this substance. However, despite the lack of evidence of cases of poisoning among the consumers continue to spread rumors that polystyrene has adverse effects on human health, constantly releasing small amounts of harmful substances. It may well be that the market for construction products has the products unscrupulous manufacturers who with the release of the material does not adhere to the technology. This foam really is a threat to human health. Styrofoam, which is made all the rules and regulations, no harmful to human health. Most likely, the rumors about the high toxicity to dismiss competitors that produce other types of insulation. 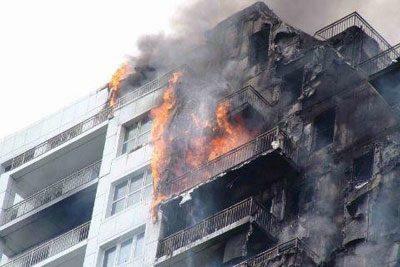 Do not use the building material for thermal insulation of walls inside the apartment or house. At home insulation mount only insulation on the exterior walls, it is sure to do the vents. For insulation of the ceiling it is desirable to put a layer of polystyrene from the attic, but only under the condition that it is uninhabited. The balcony is also better not to insulate the surface of the foam, and to give preference to mineral wool or innovative material, the foam polystyrene. Not be conducted at too low a price for the material. It may well be that such a foam was produced somewhere in the backyard, without observance of technology. All sellers must have a certificate of quality which they demand to impose to the buyer. This material can be used for the intended purpose only, i.e. for the outer insulation of houses and apartments. Prohibited from foam to make kids houses to play. Often the question arises as to whether this is harmful material for animals? Polystyrene is frequently used for insulating chicken coops, but the chickens like to peck. The danger in this is almost there, as the age of chickens are short and harmful substances simply do not have time to accumulate in the body. If you want to efficiently insulate your home, it is not worth saving. Buy materials is in specialized points of sale. You can get poisoned everything, even the usual human food. It is hard to imagine an adult or child, to be choking, but there is foam. Poisoning in this case may be by inhalation harmful smoke, which is formed at high temperatures. Quality relates to self-extinguishing polystyrene content, however, with him often other substances, which burn well, so the melting of the foam is inevitable, with a emissions. Remove victim from area of burning material. Undo and remove all compressive garments are belts, ties and shirts. 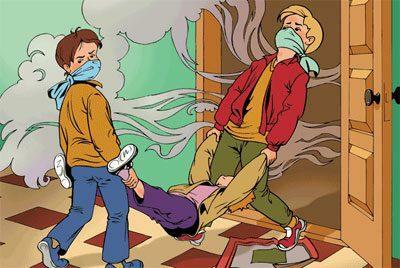 To bring the patient to the street or to ensure the flow of oxygen in the room. If the victim has no breathing or abnormal heart, you need to conduct CPR. After first aid be sure to call the ambulance to take the patient for further treatment in the hospital.